....Don't they just grow-up too fast?! 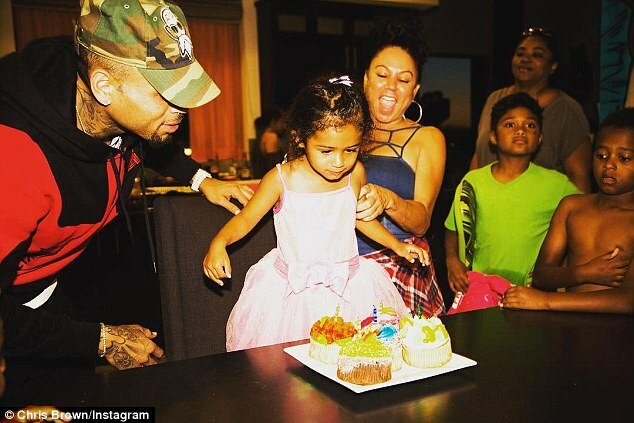 Chris Brown appears to be working hard for 'Daddy of the Year', but the proud papa of one makes it look all too easy! 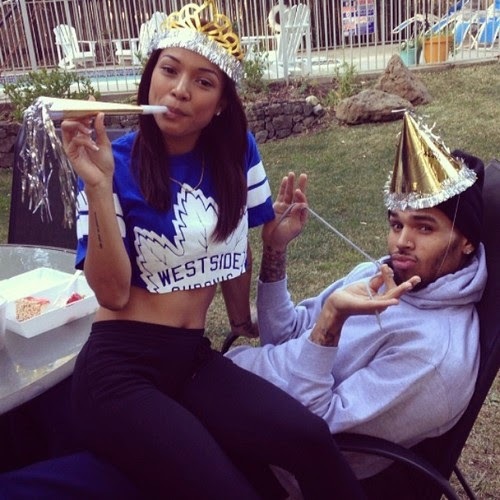 Karrueche Tran & Chris Brown to Face Off in Court; Kar Seeks Permanent Restraining Order! 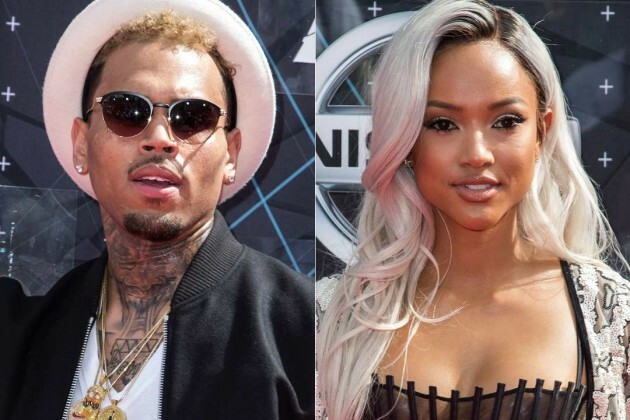 Last month, a judge granted Karrueche Tran's petition for a temporary restraining order against her ex-boyfriend and musician, Chris Brown, after he threatened to kill her via social media. Tran, who quickly filed the legal docs citing "she feared for her life," was granted a temporary stay order that required Brown to stay 100 yards away from her and family. Now, the bitter exes are gearing up to face off in court on Thursday, TMZ reported. According to sources, Tran is asking a California judge to make that temporary order permanent, citing her ex-boyfriend, 27, has violent tendencies. In the legal docs, Tran admits that the singer "assaulted her several years ago, reportedly saying Chris ‘punched me in my stomach twice’ and even pushed me down the stairs"
Brown is also the subject of a second restraining order from Tran’s bestfriend, J.Ryan La Cour, – who filed a separate petition claiming that "[Chris] had behaved aggressively towards him earlier this year." The aspiring model and actress, 28, threatens if Brown should ever breach the order -- he will have to serve some jail time. The former couple officially split back in 2015 after Kar found out Brown had a secret love child with someone else. Despite her ex-boyfriend, Chris Brown, publicly announcing on Instagram "he pretty much wants her back," Karrueche Tran was spotted a day later in West Hollywood. On Thursday night, Karrueche decided to have a gurls, yes gurls, night out at Catch LA, rocking a white ensemble matched with meshed boots and a army print jacket. And with her ex on her back....blowing off some steam at a nightclub is the best way to go! 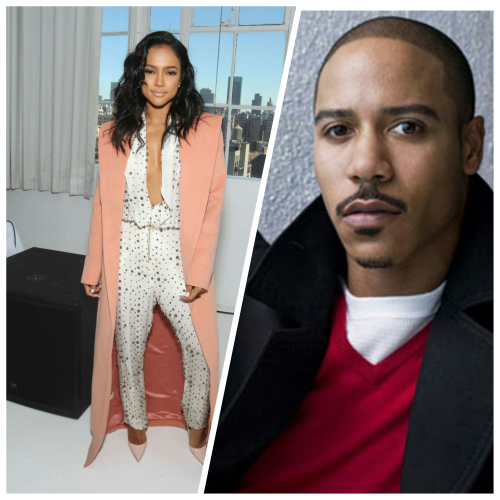 Chris Brown to Karrueche Tran .... "I Still Want You Back"
TRAILER: Karrueche Tran & Brian White Star In BET Movie! Brown's former ex-girlfriend is making moves! Aspiring model and business woman, Karrueche Tran has landed herself a role on BET's upcoming original movie, "Only 4 One Night". The show's producers, whom have paired the model with actor Brian White, says the movie is about a two individuals learning blood isn’t always thicker than water. Seeing this as a way of stepping out of her comfort zone, Karrueche said that she "didn’t grow up wanting to be an actress, it’s something that fell into her lap." "I was at a point in my life where I was trying to figure out my next move. I wanted to focus on myself and I began working with my manager and he brought forth this acting opportunity. And I really didn’t know what to do. I’m shy sometimes and I didn’t think I could do it. But then I weighed out all my options and I decided to take a small role in a film and from there it sparked my interest." Kar also revealed that she was a little intimidated by her fellow co-stars, only because they had more acting experience than she did. "It’s not easy at all and it’s rough for me because my peers, other actors, have been doing it since they were like two! They have so much more experience than I do. It’s hard but it pushes me to work harder and work with my acting coach to get better every day." [I] think people are starting to see me for me and who I am, as opposed to social media and all the BS and extra stuff. The more I keep working, the more that’ll all be exed out. The show also stars Omar Gooding and Angelique Pereira. Karrueche plays wife to William who seems to have the perfect life until she welcomed her sister (Caroline) into her home. A little predictable, Caroline falls in love with sister's husband and drugs him to advantage of him. Putting family aside, Kar decides to take revenge.... almost killing her sister. 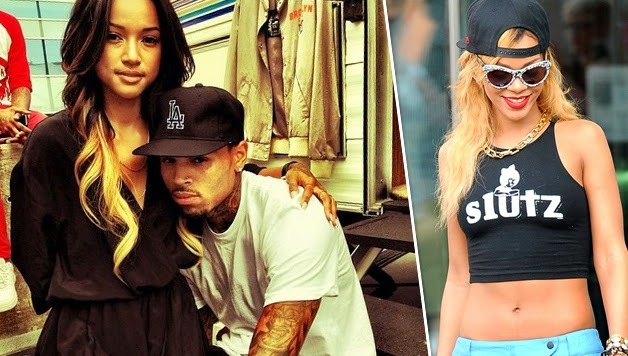 In past few years, Karrueche Tran has been subjected to harsh criticism from social media users when it came down to her relationship with on-again/off-again boyfriend Chris Brown and their never-ending love triangle with Chris' ex-girlfriend Rihanna. Class is in session! "Who said you can’t find love in the club? Cause I wanna tell them they wrong," 25-year-old Chris Brown raps in his latest single entitled, "New Flame," which features Usher Raymond and Rick Ross. 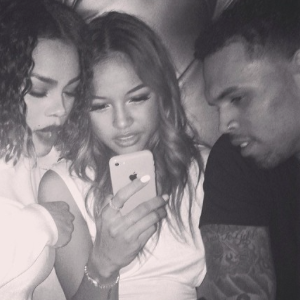 Karrueche Tran appears to have proved her "Loyalty" to Chris Brown while he was in jail, because the singer is officially claiming her on Instagram (yeah it’s real). The 25-year-old troubled entertainer uploaded a photo of him and Kar snuggled up inside a recording studio, and captioned the photo; "She's a real one." A few gossip sites are reporting that since Brown used to profess his love for his ex-girlfriend Rihanna, even after their split last year for unknown reasons, that she wasn't being faithful in their relationship. Perhaps, still having feelings for Drake? Do you think that was a subliminal shot? Either way, an insider says, "Brown has been working on himself, so Karrueche helps him get through his daily struggles with internet rumors and past demons." Earlier this month, Brown reportedly got a rude blast from the past while partying at an L.A. nightclub when a DJ started playing a Rihanna song. Wondering why is Chris still getting so upset at the mere mention of his ex? Well, a source told Star Magazine (via source) that when the DJ bumped the Rihanna track at The Spot; "Suddenly, [Brown] was fuming, pacing around like he was about to start a fight!" an eyewitness told Star magazine. "The DJ then rubbed a little salt in Chris’ wound by switching the song to Drake's 'Started From The Bottom' song," the source added. 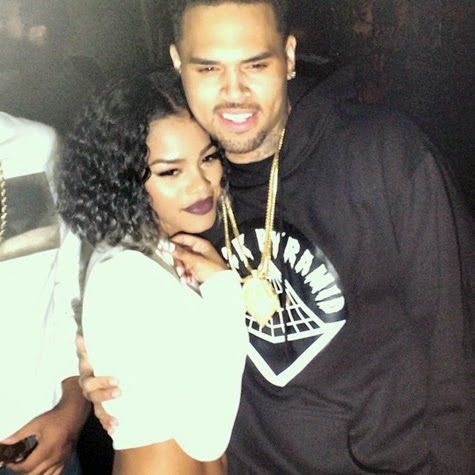 Despite his mellow antics, Brown is playing the G.O.O.D guy with Kar by his side -- hitting up rapstress and longtime friend Teyana Taylor, who posted a photo of them, at her new single, "Maybe," release party at Xen Lounge in Studio City last night with hashtag #StudioLove. "Before Zendaya was announced to play Aaliyah in the Lifetime biopic, Teyana had auditioned for the role of her idol. 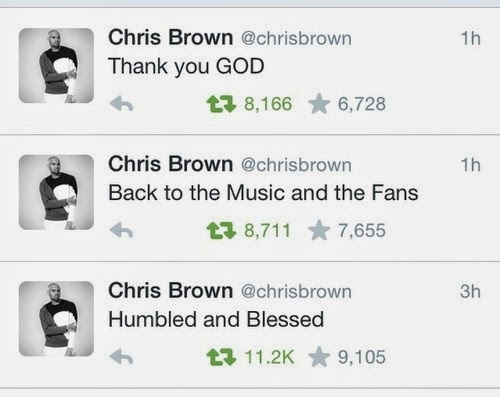 Her audition video was posted online this week. “Unfortunately Aaliyah’s family isn’t involved & she no longer wanted to be apart of the film,” said her friend. Do you think Chris should make a mid-year resolution — check all that anger from the past at the door? 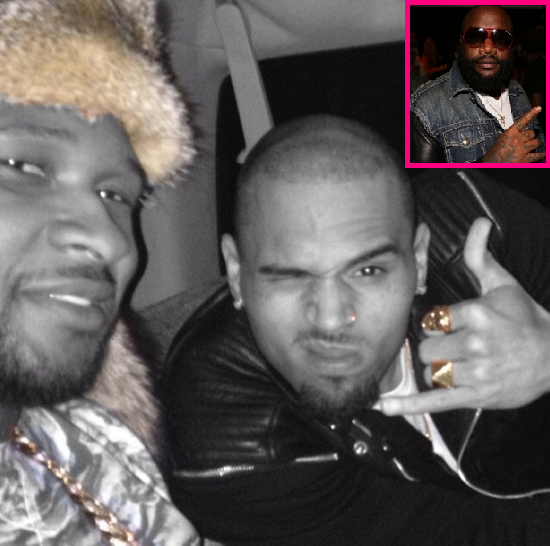 FIRST PHOTO: Chris Brown Shares A Selfie With T-Pain; Singer Gained 'Mad' Weight! Prison does a body good (in my Momma Dee voice)! 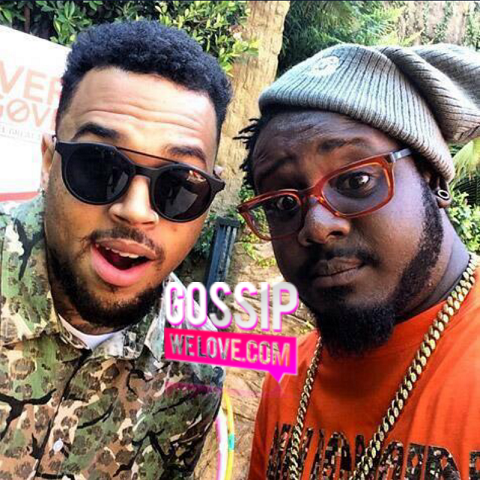 Chris Brown is fresh out of prison and his FIRST internet selfie is with rapper T-Pain. 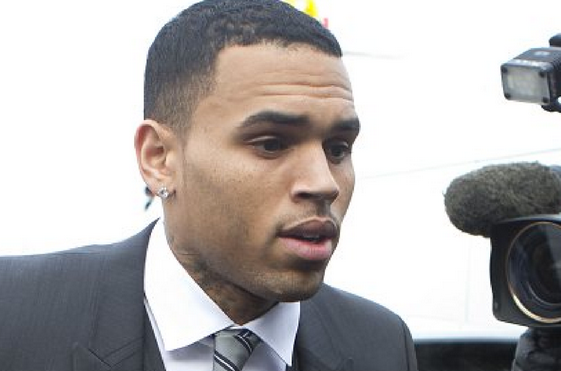 This morning, Chris Brown was released from federal custody, a Los Angeles deputy confirmed to the media. The LA Sheriff's deputy Tony Moore told the Associated Press that the 25-year-old "Loyal" singer was released in the wee hours of Monday (12:01 a.m., to be exact), but was unable to give further details. Brown had been in custody since mid-March after he was expelled from a court ordered rehab sentence in Malibu, which was a instant violation of his probation. Last month, Superior Court Judge James R. Brandin ordered [Brown] to remain in jail for 131 days, but got credit for spending 116 days in rehab and another 59 days behind bars. Brown still has his D.C. assault trial pending and that should begin in the next few months. I guess he won't be retiring anytime soon!